It seems like Barnes & Noble has been on its final chapter for years. Slumping sales, closing stores, and a big swing and a miss on digital have hurt the book chain. The holidays were particularly miserable for Barnes & Noble (BKS): Sales fell more than 6%, while other retailers had a surprisingly Merry Christmas. But Barnes & Noble may have life left in its story. The company is taking measures to bring people into stores. It launched new concept stores with restaurants that serve avocado toast, kale salad and wine (among other things). It hosts in-store readings and community events. It's efforts may have been enough to keep Barnes & Noble afloat so far, said Barbara Kahn, a marketing professor at Wharton. But it's going to have to do some work to turn things around. The main problem is that "Barnes & Noble doesn't seem to have a very clear proposition," said Neil Saunders, managing director of GlobalData Retail. In order for the company to survive, it needs to convince customers that they should shop at Barnes & Nobles, he argues. Here are steps Barnes & Noble can take to turn itself around. In order to cut down on losses, Barnes & Noble could both decrease the size of its stores and shut down some locations, said Saunders. Smaller stores could make for a better shopping experience, added Kahn. Kahn noted that Amazon's bookstores are much smaller than Barnes & Noble's, focusing on a curated collection of recommended items. "It makes the shopping very easy to do," she said. Barnes & Noble can start by losing its most outdated products -- CDs and DVDs -- and doing a better job of curating the toys, journals and other non-book items it sells. Right now, Saunders said, shoppers face a random assortment of products, most of which can be found at stores like Target (TGT) and Walmart (WMT). The company may plan on making some of these changes. 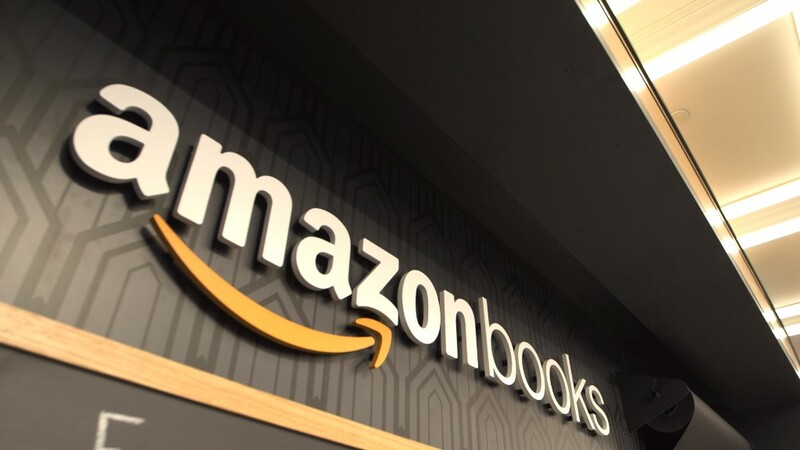 In its annual report for 2017, the company said it is hopeful that "improving navigation and discovery throughout the store, including a customer friendly and more intuitive organization of books and improved signage for easier browsing," will help sales. And the brand is testing out smaller stores, and cutting back on gifts that don't sell. It's possible that Barnes & Noble's decades-old partnership with Starbucks (SBUX) has run its course, said Kahn. People may pop into a Barnes & Noble to get a cup of coffee, but that doesn't mean they're going to buy anything else. "I'm not sure the synergy works both ways," she said. Saunders doesn't think a coffee shop is a bad idea. But rather than partnering with a national chain, he suggested joining forces with a local cafe in order to distinguish a Barnes & Noble's coffee shop from one you can find on any corner. "We believe a differentiated experience is a must in today's retail landscape," added David Schick, managing partner and lead retail analyst with Consumer Edge Research. "In this case that means merchandise and food / beverage offerings." The companies have not disclosed the details of their partnership. Starbucks did not respond to a request for comment. Barnes & Noble cafes did have slightly positive results last quarter, thanks to buy-one-get-one and other deals, said CEO Demos Parneros when discussing second-quarter earnings. Barnes & Noble rides the waves on bestsellers like "Harry Potter" or hit records like Adele's "25." That's a dangerous strategy, said Saunders. "If you're so reliant [on trends], your business doesn't work," he explained. Instead, Barnes & Noble could build a community by appealing to fans of those books and artists throughout the year. Barnes & Noble was able to do that with university book stores, said Kahn. Students and alumni looking for college swag have a clear reason to walk into a university-affiliated Barnes & Noble over another store. But Barnes & Noble spun off that part of its business into a separate entity called Barnes & Noble Education, so it'll have to find a different way to keep customers coming back, whether by hosting more compelling events throughout the year or selling more merchandise and gifts for dedicated fans. Barnes & Noble could take a page from Indigo, Canada's largest book, gift and specialty toy retailer. Indigo is doing well. Sales are climbing thanks in particular to its home goods and toy businesses (Indigo sells books, but it also sells cookware, furniture and home decor). The company has its own proprietary gift and merchandise, and recently launched concept stores to reflect its change "from a bookstore to a cultural department store for booklovers," a distinction which seems to be working. "Often books are decorative accessories," said Saunders. Even people who prefer to read books on an e-reader might still want to buy coffee table books. Indigo, Saunders noted, is thinking of coming to the United States -- so Barnes had better act fast, before a strong competitor makes a bad situation worse. Nook, Barnes & Noble's digital arm, has long been a thorn in the book seller's side. In its 2017 annual report, Barnes & Noble noted that from April 2016 to April 2017, sales of Nook devices and accessories plummeted by 34.9%. And digital content sales fell 18.1% in that period. Still, Barnes & Noble thinks it can turn Nook around. The company said in the 2017 report that by outsourcing certain operations and making other changes, Nook can stave off further losses. Saunders suggested that rather than try to salvage Nook, Barnes & Noble should focus on bringing people into its brick-and-mortar locations. The company's many physical locations -- it owns more than 600 bookstores -- set it apart from online retailers like Amazon. Meanwhile, Nook has failed as a competitor to the Kindle and tablets -- so Barnes & Noble's energy would be better spent on revamping its stores.